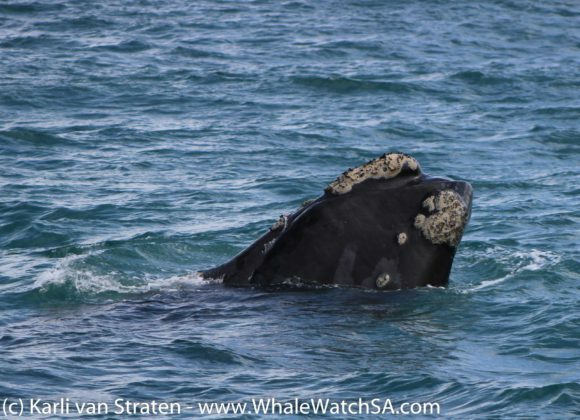 Whale season is definitely at it’s peak with tons (excuse the pun) of Southern Right Whales gracing our shores at the moment. 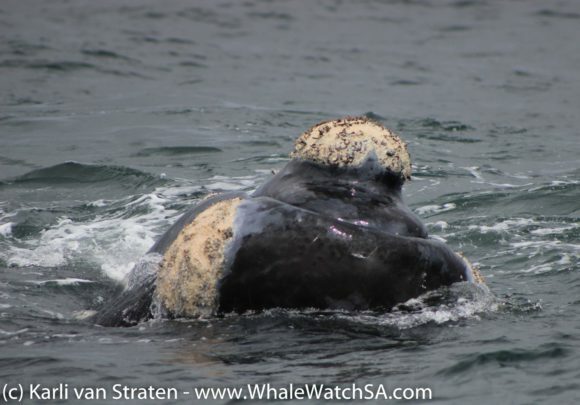 We had 2 incredible tours out on the ocean today with most of our whales being concentrated in the Pearly Beach region. The first tour of the day set off around brunch time, with us making our way along the coast until we set our sights on Slashfin, our sister company’s shark cage diving vessel. 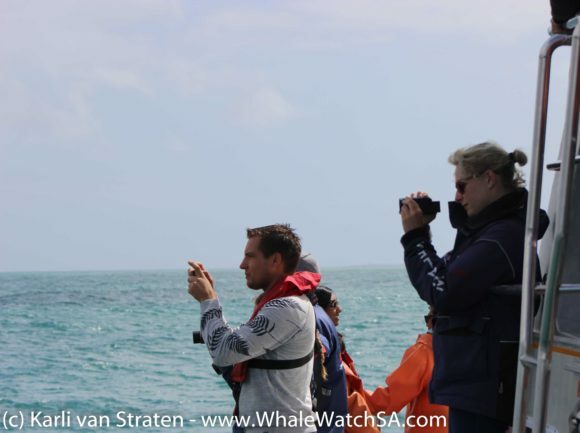 Unfortunately, over the last two days, our sightings have slowed down in the Great White Shark department. 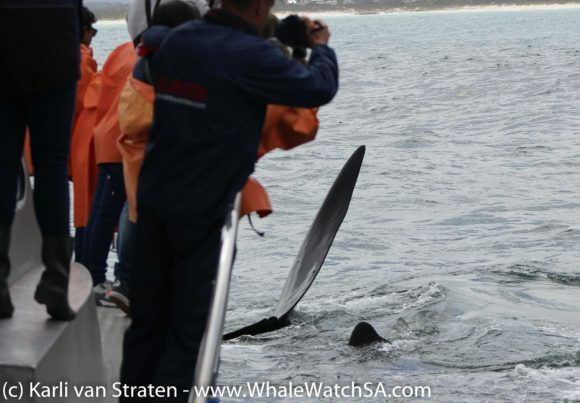 We believe that this might be due to the presence of orcas in our bay again. 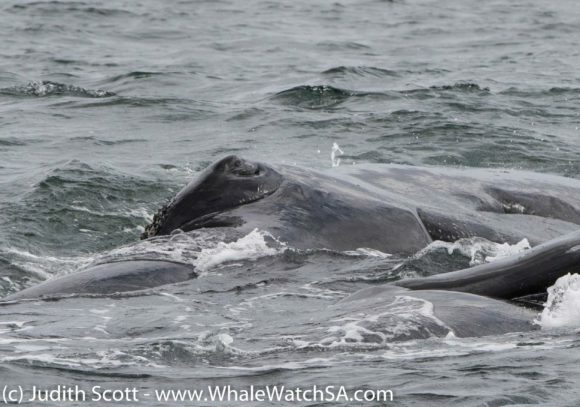 Orcas are the only known predator of the Great White Shark and since February of this year, we’ve had 2 boys frequenting the bay to enjoy the delicacy that is shark liver. After spotting no sharks during our stop, we carried on towards Pearly Beach. 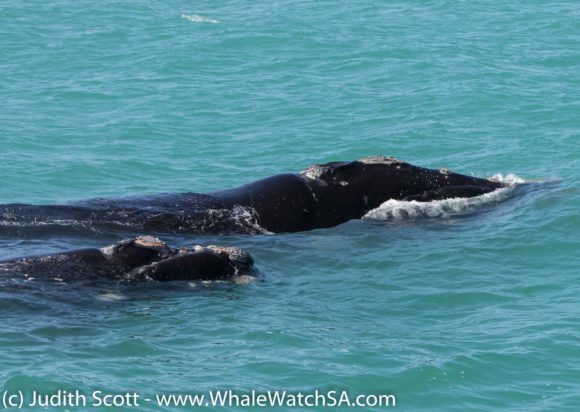 The first Southern Rights that we happened across today where a mom and calf pair, and we went on to see quite a few more during our trip. At this time of year, we generally start to see a lot more of these pairings whilst our mating group sightings start to decrease gradually. 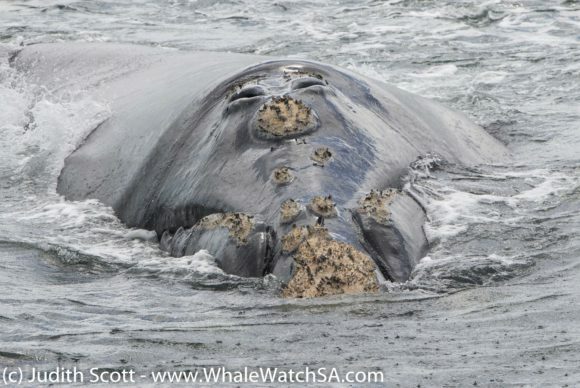 This is because many of the females have been impregnated, which causes them to head on down back to Sub Antarctica to fatten up in order to nurse a calf next year. Watching these pairs is always special as one gets to see how the little ones are learning and developing. 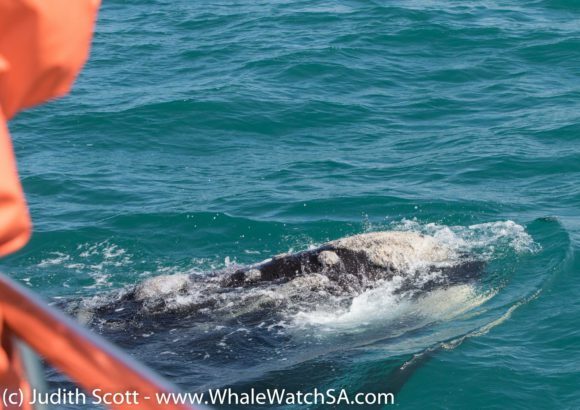 We even had a curious calf approach the boat with mom glued to her side. 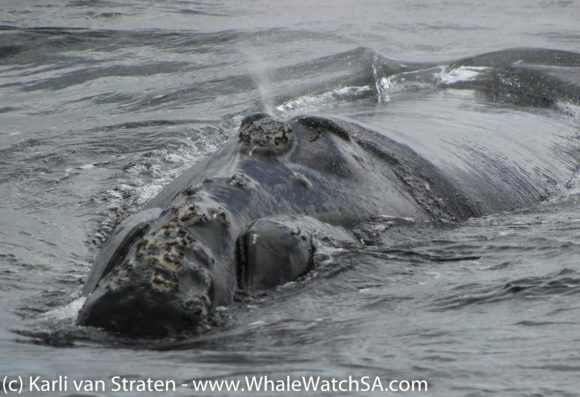 On this trip, we also went on to see some breaching action and a Brindle Southern Right Whale. 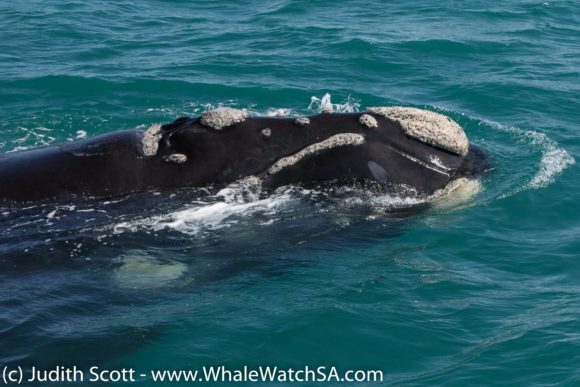 This light colouration makes the whales look a little like Dalmatians and only effects 4% of the South African population. 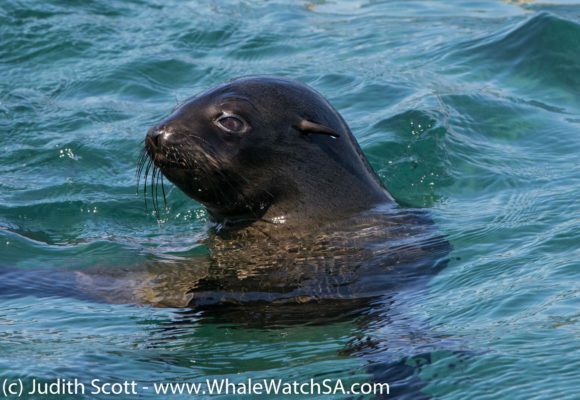 After these amazing sightings, we could not ask for any better so we decided to go and find some other species. 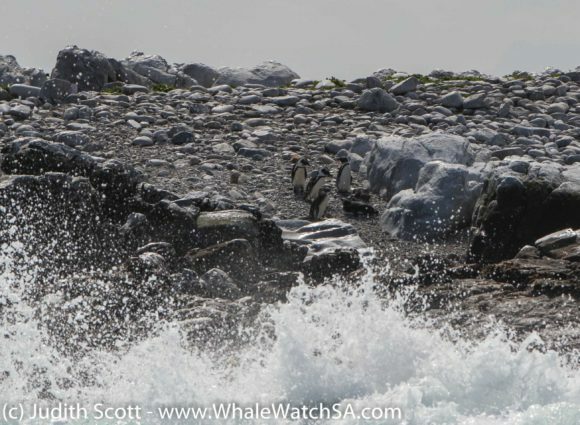 We went on to visit our Cape Fur Seal colony, who live on the 3 hectare island that we refer to as Geyser Rock. 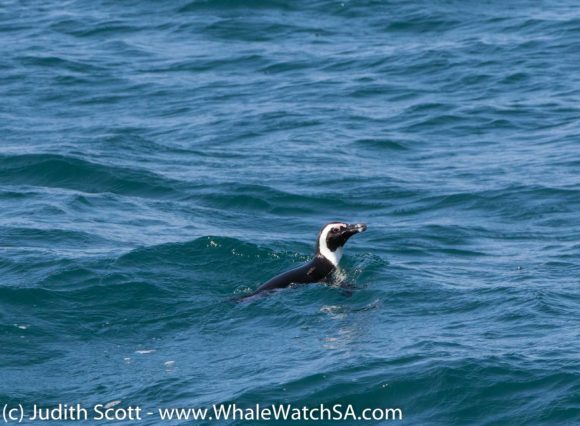 We also got to see a lone African Penguin who was out on a fishing expedition. 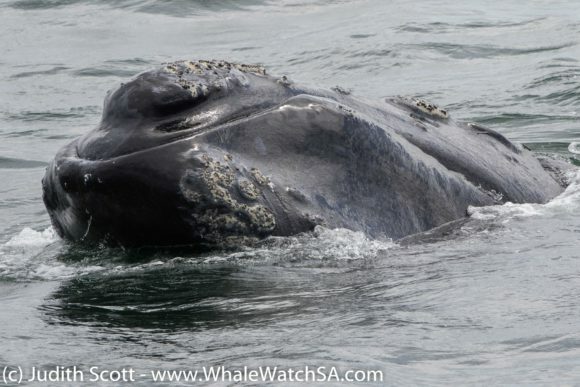 The second trip of the day also had the same luck, with absolutely spectacular whale approaches and a Sunfish. 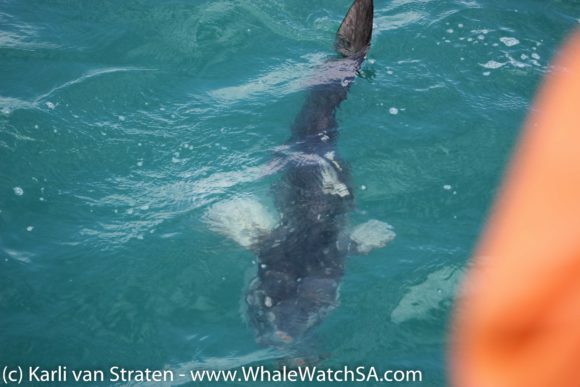 We found the sunfish whilst moving into a Whale sighting off the shore of Pearly Beach. These fish can reach a weight of around 1 ton, making them the largest bony fish in the world. 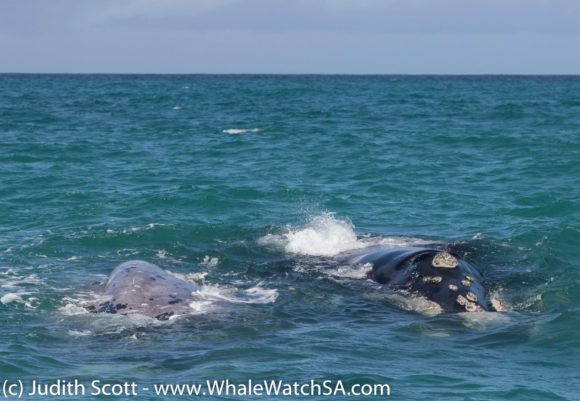 Back to the whales, we found 5 adults fooling around in the water close to the town and Pearly Beach and stayed with the animals for as long as we could. 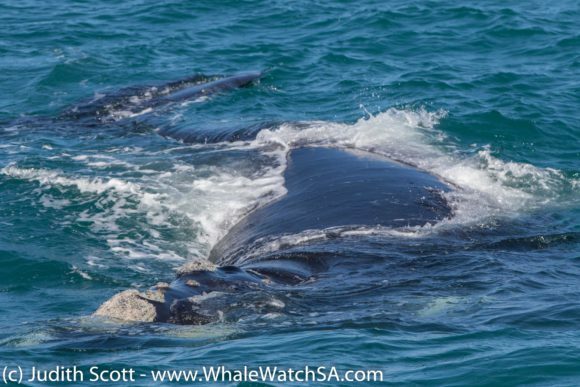 These whales were exceptionally curious, coming right up to us on 3 occasions and spy hopping numerous times during the moments we shared together. 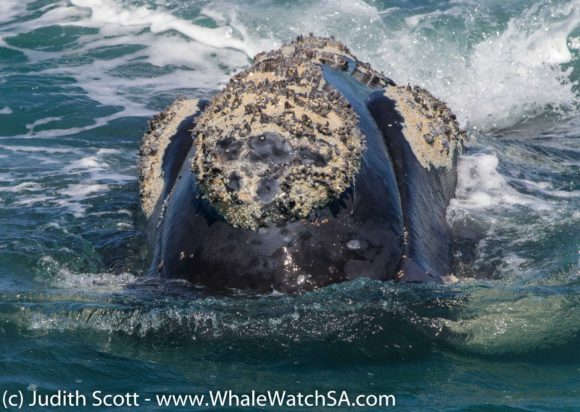 We also got to see the eye of one of the whales which is always cool as they are mostly under the surface of the water, due to them being situated so low down on the whale’s body. Completely satisfied with all that we had seen, we took our usual route home. 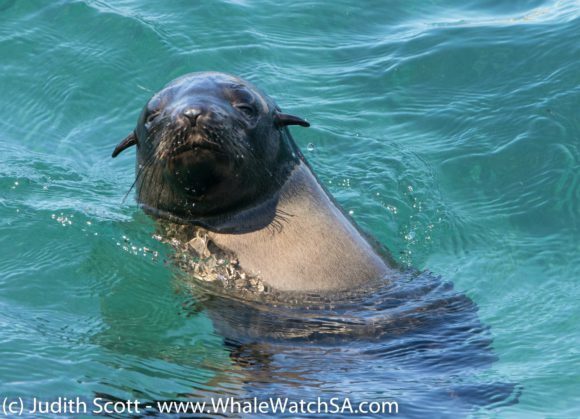 Spending some time with our Playful seals as they enjoyed the temperate waters of Shark Alley. 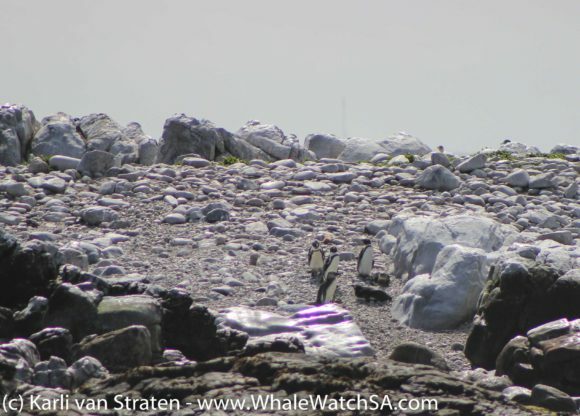 We also got to see a few Penguins sitting on a beach on Dyer island, which was very cool after only find a juvenile in the water.